Special ornaments deserve their own elegant display stand. 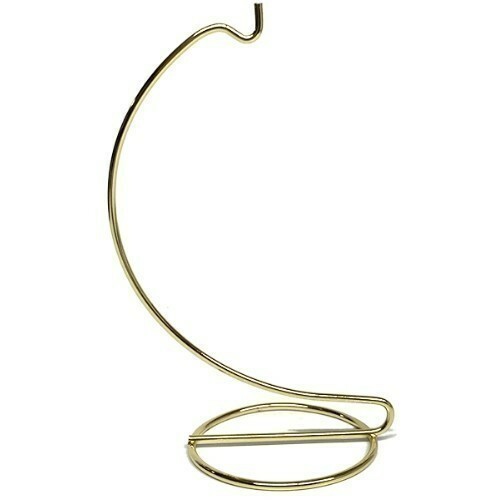 This ornament stands can also be used to hang crystals, eggs or jewelry. Made of a sturdy wire. 2 3/4" diameter base; 4 3/4" hanging height; 6" overall.